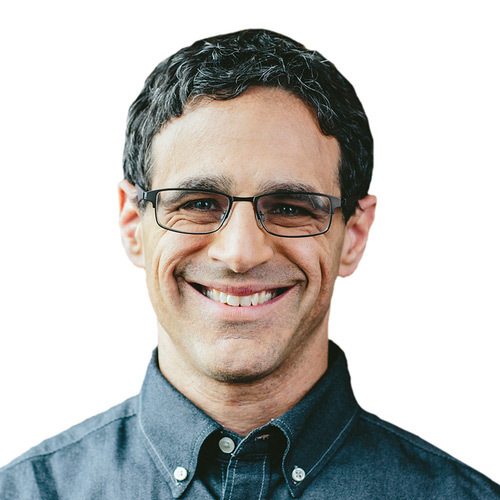 How Can Technical Indicators Help Determine Value? Learn to use technical indicators such as RSI, stochastics, and the CCI to help determine if a stock is overbought or oversold. Investors often hear that one stock is “overbought,” or another is “oversold.” How do experts arrive at those conclusions, and how can investors learn to do their own analysis of a stock’s valuation? There’s the price-to-earnings ratio (P/E), price/earnings to growth ratio (PEG), and price to book value, among others. These ratios and values help form a fundamental perspective, but several other numbers can help determine valuation from a technical perspective. These include the Relative Strength Indicator (RSI), the stochastic oscillator, and the Commodity Channel Index (CCI). Although the complicated names can sound perplexing, they’re all quite simple and easy to read on a chart, and they all show the same thing: whether a given equity is overbought or oversold. The Relative Strength Index (RSI) is a momentum indicator that compares the magnitude of a stock's recent gains to the magnitude of its recent losses on a scale from zero to 100. More precisely, RSI measures a security's price relative to its own past performance. It’s calculated by taking the average of the closes of the up bars and dividing them by the average of the closes of the down bars. Generally, an RSI of 80 or above is considered overbought, and 20 or less is considered oversold. The best way to find RSI for a given equity is to use the TD Ameritrade website, which can track RSI right under an equity’s chart. Choose a stock, chart it, and use the drop-down box in the “lower indicators” tab to select RSI. 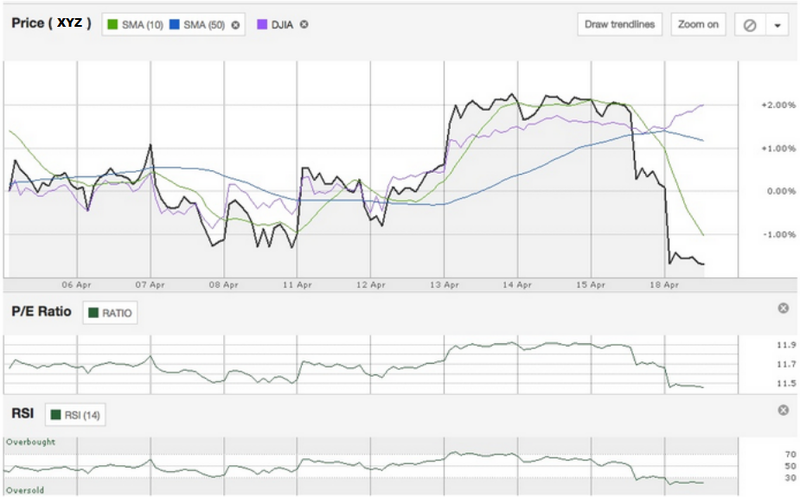 For example, figure 1 displays a 10-day chart of XYZ Corp. (XYZ) with RSI plotted directly underneath. 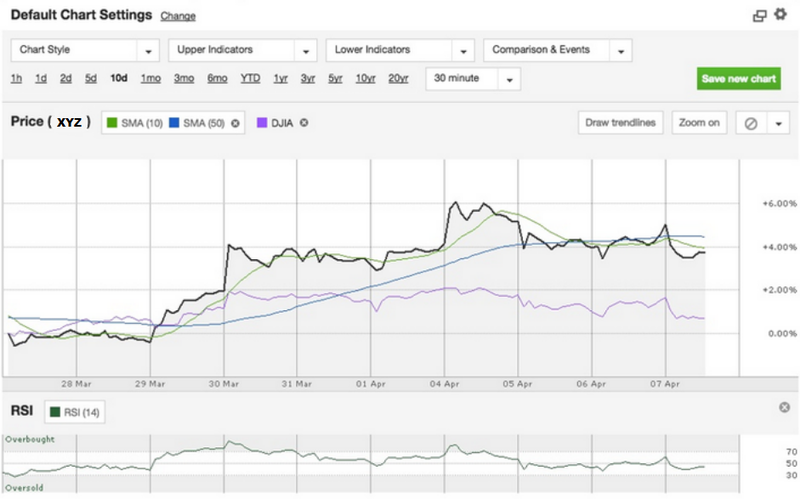 A stock’s RSI can be found underneath its main price chart on the TD Ameritrade website. 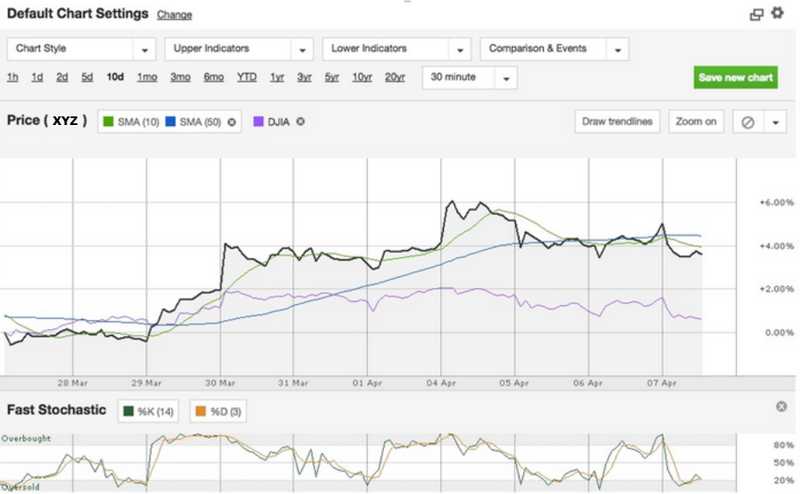 Here’s a 10-day chart of XYZ, with RSI indicating when the stock was oversold and overbought. Data and image source: tdameritrade.com. For illustrative purposes only. Past performance does not guarantee future results. The stochastic oscillator is based on the observation that as prices increase, closing prices tend to be closer to the upper end of the price range. In downtrends, the closing price tends to be near the lower end of the range. Both the fast stochastic and slow stochastic oscillators are used by many market technicians as a timing indicator for signals of market reversals. Here’s where it starts sounding a bit complicated, so get ready. The stochastic oscillator is made up of two lines oscillating in the range from zero to 100. The main line shows the ratio of differences between the current close and lowest price, and between the highest and lowest prices, and is called %K. The second line, called %D, is a moving average of %K over a chosen period. Either or both can be monitored and can signal a stock’s overbought or oversold status. When the stochastic oscillator rises above 80, a stock is generally considered overbought. When it falls below 20, the stock is considered oversold. Find stochastics for a given equity using the TD Ameritrade website, which can track stochastics right under a stock’s chart. Choose a stock, chart it, and use the lower indicators drop-down menu to select either fast stochastics or slow stochastics. The fast stochastics oscillator is more sensitive to changes in the price of the equity than the slow stochastics oscillator. As an example, fast stochastics is applied to XYZ in figure 2. 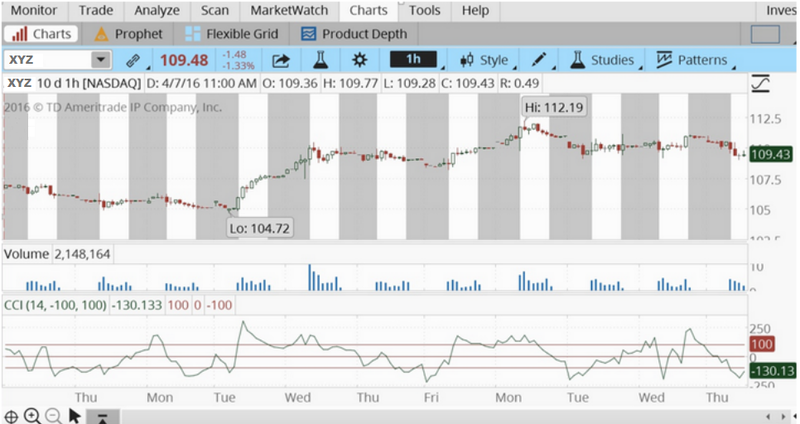 A stock’s stochastics can be plotted underneath its main price chart on the TD Ameritrade website. This is a 10-day chart of XYZ, with fast stochastics showing when the stock moved into overbought and oversold territory. Note that both the %K and %D lines are tracked. Data and image source: tdameritrade.com. For illustrative purposes only. Past performance does not guarantee future results. 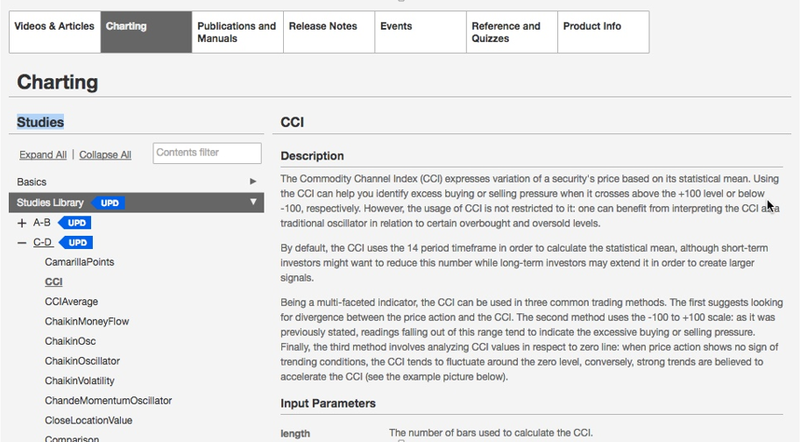 The Commodity Channel Index (CCI) expresses the variation of a security's price based on its statistical mean. Investors can use CCI to spot excess buying or selling pressure when it crosses above the 100 level or below negative 100, respectively. TD Ameritrade clients can log in to the website and check out this video to learn more about CCI. The chart below from the TD Ameritrade thinkorswim® platform shows how investors can track CCI for a specific stock. Log on and find the pull-down menu on the Studies tab. Click Lower Studies, and from that pull-down menu, click CCI. The CCI for the stock will then be charted underneath the stock price chart. This is a 10-day chart of XYZ, with CCI tracked below. Data source: TD Ameritrade. Image source: the TD Ameritrade thinkorswim® platform. For illustrative purposes only. Past performance does not guarantee future results. When investors track RSI, stochastics, and CCI, they can choose certain time periods to follow. How far back to look depends on what the trader is doing. For week-to-week trade management, a 10-day average might work best, said David Kier, product manager for thinkorswim. 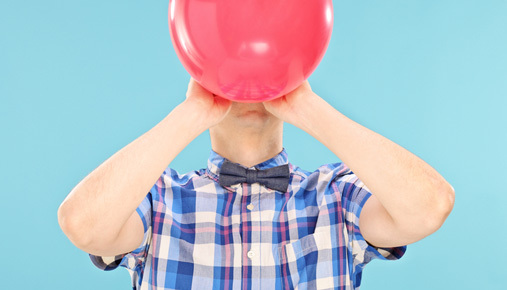 Someone with a long-term trading plan, who wants to buy and hold, might be better off looking at the 200-day average, which is close to an entire year’s worth of trading. To learn more about any of these indicators on thinkorswim, use the Studies function on the chart. Use the pull-down menu to select “edit studies,” and then type in the study you want to examine. Figure 4 shows the platform’s study on CCI. FIGURE 4: LEARNING MORE ABOUT INDICATORS. Use the study function on the TD Ameritrade thinkorswim platform to learn more about indicators. Data source: TD Ameritrade. Image source: the TD Ameritrade thinkorswim® platform. For illustrative purposes only. Past performance does not guarantee future results. The RSI, stochastics, and CCI indicators can be used in conjunction with fundamental indicators like P/E and PEG to give investors a strong sense of where a stock is valued from both a technical and fundamental stance. In “Beyond P/E: Tools That Can Help Measure The Value of a Stock,” we reviewed some ways to value a stock using tools like P/E, PEG, and book value. Investors can plot these factors versus RSI or CCI to see if the fundamental and technical tools tell a matching story. Figure 5 shows a 10-day chart of XYZ with both P/E and RSI plotted underneath. Simply choose a chart and select the options you want from the “lower indicators” pull-down menu. FIGURE 5: COMPARING TECHNICAL AND FUNDAMENTAL INDICATORS ON THE SAME CHART. This is a 10-day chart of XYZ, with both P/E ratio and RSI tracked at bottom. Note how RSI rose and fell along with P/E in this example. Data and image source: tdameritrade.com. For illustrative purposes only. Past performance does not guarantee future results. Join us at Market Drive from TD Ameritrade and hear from industry-leading professionals. Learn to use advanced tools and benefit from immersive learning opportunities.